In the recent years, the Germans have been coming out with countless variants to fill in every possible niche. And they are starting to realise it is too much. With Porsche having more than 10 different variant of the 911 on sale we can't say making a decision on which 911 to choose from is easy. Porsche isn't alone in having so many models/variants that are based on one platform. Take BMW for example. Including the 4 Series Coupe, the Cabriolets and the Gran Coupe, we have around 18 different variants of the 3 Series family to choose from. By the way, that figure does not include the which trim (M-Sport or Luxury) you want to go with. However, it seems that some of this recent expansion might be coming to an end as companies begin to cut back on spending or shifting resources to elsewhere. 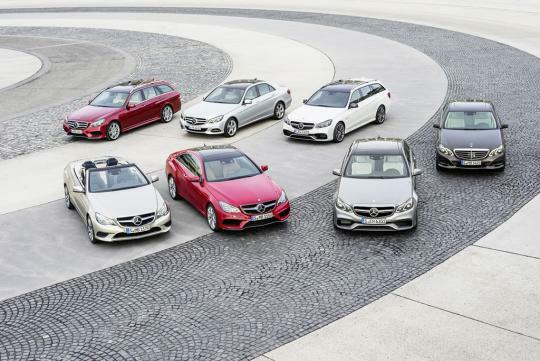 According to Yahoo Finance, the German carmakers offered around 25 percent more models in Europe over the past three years. Consulting company PwC reckons the peak will be around 2018 where there will be a combined figure of 230 models from the manufacturers. Surprisingly, BMW, whose front wheel drive UKL1 platform is rumoured to spawn more than 20 models, might be one of the first companies to slow down the expansion. Head of sales, Ian Robertson was quoted from an interview that they might need to think differently for certain cars in the future, according to Yahoo Finance. Porsche's spokesperson, Achim Schneider was also quoted from the same source that even though platforms and drivetrains are shared, there is still expense in marketing each one. Agreed,Mercedes Benz used to have just 4-5 models in the 80's,Tye Soon stocked most of the Spare parts,now. ?They also don't dare to stocked,because too many models,& models changes too fast..
More models is good for consumers... more choice. there's too many choices, really got irritated sometimes. they finally realized. And go back to logical model numbering i.e 320 is 2L engine. Nothing less. E200 is 2L. Stop fudging. Totally agree. Really miss those days when the nomenclature is what it is.